Here are some easy steps and tips to make your filipino house feel more of a home. Easy steps to making your Pinoy house feel more of a home. Filipinos love to keep things for their sentimental value. That is why many Filipino homes get cluttered by built up tokens and other stuff that they are attached to emotionally. Keeping that fact in mind, in decorating a newly bought house, keep the over-all design of the interior, particularly the walls, simple and plain to prevent the house looking too messy or untidy. Before buying your new furniture, measure the furniture against the room they are intended to be placed. 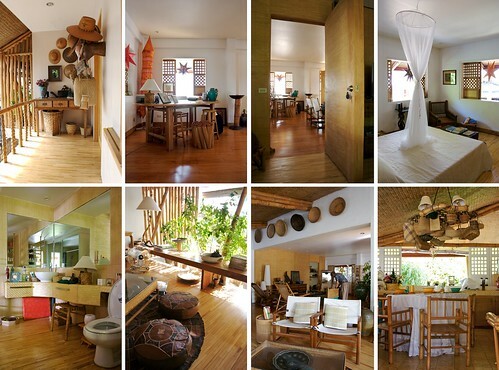 Lack of enough space is a common interior design problem for Filipino houses. Getting the right proportion is the key. Also make sure that there is enough space to move around. The lack of wide space can be attuned by the use of mirrors to make rooms appear bigger than they really are. Mirrors create an illusion of a bigger space. Also, try painting the walls with light monochromatic tones also gives impression of wider space. Putting mouldings and cornices are fuss-free ways to put decorative touches on plain ceilings and baseboards. In choosing a new paint colour for your wall, it is advisable to paint a shade lighter than chosen sample swatch. At most times, the color you choose from a swatch will appear to be brighter when applied on a wall. Aside from being more ergonomic, mounting picture frames on eye level will make the ceiling appear higher; another way of creating illusion of greater space. Placing carpet or area rugs on stone-material floors (concrete, tiles, marble, etc.) adds touches of comfort to the room. To avoid fast wear and tear of the carpet or rug, feel free to rotate them once in a while.